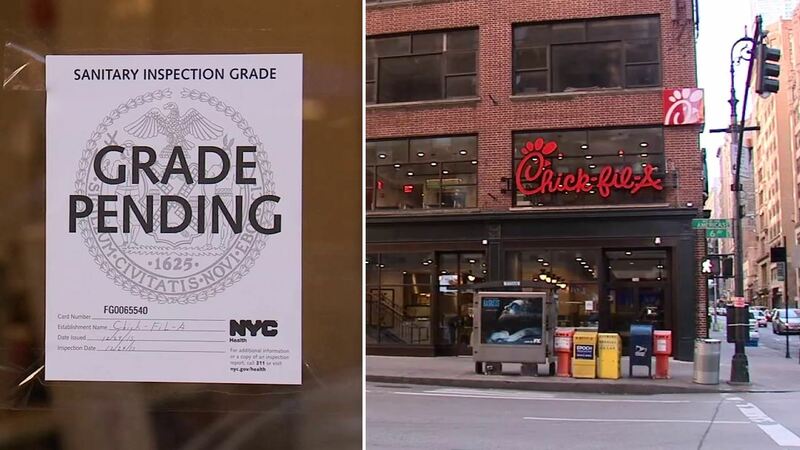 MIDTOWN, Manhattan (WABC) -- New York City's first and only standalone Chick-fil-A restaurant has reopened Tuesday, after it voluntarily shut down its operation for nearly a week due to health code violations that give it a "C" grade. The fast food chain posted on its website, saying it completed maintenance and facilities updates at its location at 37th Street and Sixth Avenue in Manhattan. "We appreciate our customers' patience and look forward to serving them soon," said restaurant in the online posting. The New York City Health Department first inspected the Chick-fil-A on December 15, and the restaurant received 39 violation points. The inspector returned nine days later on December 24, and the restaurant scored even higher - 59 violation points. The points determine which letter grade the restaurant gets and has to display in its window. More than 28 violation points gets a restaurant a "C" grade, the worst the city gives out. Following the second inspection, Chick-fil-A voluntarily closed the restaurant six days later on December 30, and remained closed until Tuesday. Chick-fil-A said it closed to address these issues, as well as retrain the restaurant's leadership and employees. It also brought in an outside consultant for independent inspections. 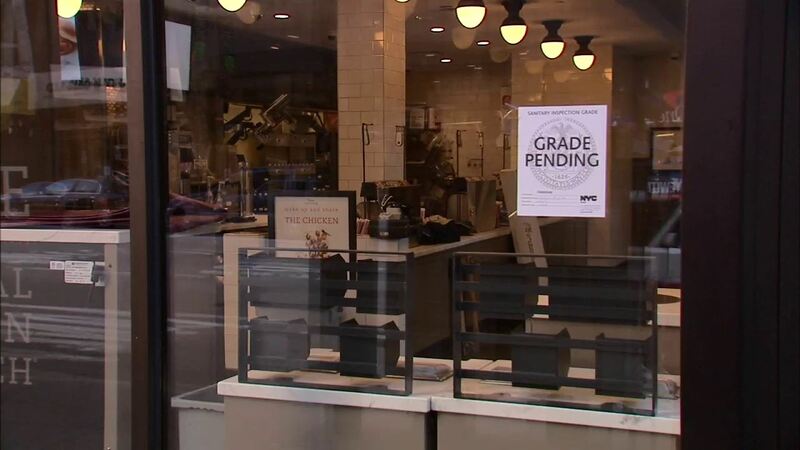 The restaurant is currently displaying a "grade pending" card in its window. Restaurants not receiving an "A" grade can choose to post the grade received during inspection (in this case, a "C" grade) or post the "grade pending" until the restaurant's hearing at the Office of Administrative Trials and Hearings Health Tribunal. The Midtown Chick-fil-A restaurant opened October 3 and is the chain's largest restaurant in America.